Forbes, one of the most prestigious and influential American magazines, has published a list of the ten best European wines by the price of under $ 20: among them also the Bacchus Rosso Piceno D.O.P. of Ciù Ciù winery (led by the brothers Massimiliano and Walter Bartolomei) based in Offida, in Le Marche region. The great red wine produced in the Piceno hills is one product of the very prestigious wine selection mentioned by Forbes, along with other important European labels. Bacchus (2015) was appreciated by the famous critic journalist Nick Passmore who chose the organic wine of Le Marche winery, praising its high quality and describing the scents and organoleptic characteristics. 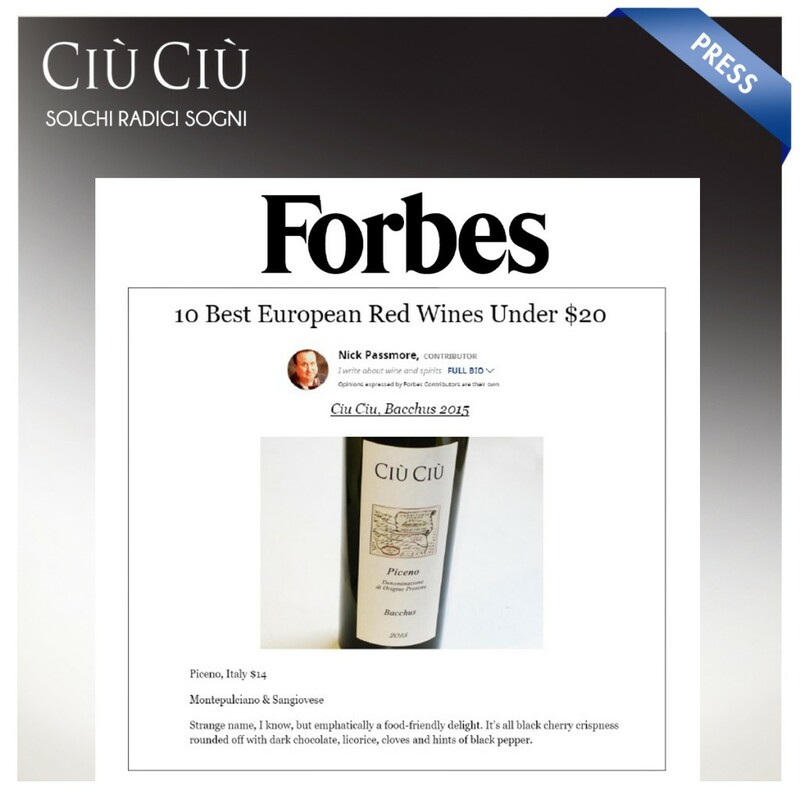 American expert also noticed the curiosity around the name of the winery, Ciù Ciù. For Bacchus red wine, that’s a new important “award” outside Italy.